HomeArt, Craft & SewingPARROT GREEN COLOUR LIGHT MATKA SILK FABRIC 44″-HANDLOOM WOVEN – Hobbies,Home decor,Sewing,Fashion,Doll Dress,Furnishing,Interior. 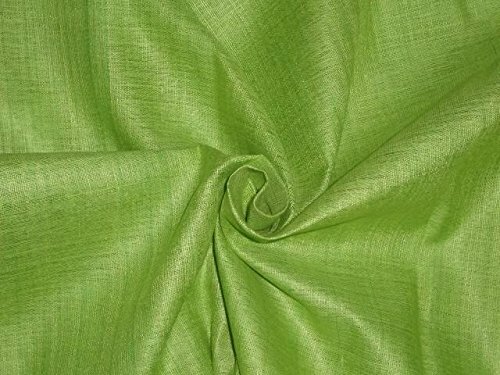 PARROT GREEN COLOUR LIGHT MATKA SILK FABRIC 44″-HANDLOOM WOVEN – Hobbies,Home decor,Sewing,Fashion,Doll Dress,Furnishing,Interior. there are slubs and irregularities that give the fabric a unique character. Matka sews easily and is good for suits, jackets, and furnishings.